Peregrine Falcons in Boise, Idaho and other wildlife in Idaho and around Boise. Here is the latest word from the Peregrine Fund today. Interesting information. If you’ve been keeping up with Boise’s Fastest Family, you’ve probably noticed that we have four fluffy chicks in the nest, they’re growing like weeds, and mom hasn’t been spending as much time incubating. In the next 3-4 weeks, the chicks will be going through a lot of changes. Their fuzzy hatchling down will give way to full feathers and they will grow to be the size of a full adult Peregrine. Because of their increased size and the warmer weather, the parents do not need to spend as much time incubating. They do, however, need to spend significant more time hunting to feed the growing chicks. Fortunately for our chicks, both parents are talented hunters. During one 20 minute viewing session last week, we watched dad deliver small prey items to the nest ledge twice! Later that day, mom brought back a full-sized pigeon and spent approximately 30 minutes feeding the chicks and herself from the large quarry. One of the most interesting things about watching the FalconCam at this stage of chick growth is to see what prey items are brought to the nest and how the chicks eat. Not all chicks eat at every feeding. Often one or two chicks in the back of the cluster won’t be fed during one session, but will get the majority of the food at the next feeding. The parents usually feed based on a chick’s feeding response – which is often just the chick opening its beak as the parent holds food nearby. A chick that is full from a previous feeding won’t exhibit a strong feeding response, which cues the parent to move on to another chick. 1535 19 May 2016 – The Boise chicks. Yes, the chicks were visible this morning at about 1250 pm on 9 May 2016. Very windy and somewhat cooler than normal, but all are doing well. Sorry for the bad “screen captures” but the camera lens needs cleaning. That won’t happen until the chicks are banded. But ewnjoy these photos in the meantime. Keep Looking Up! At around 1540 this afternoon, Mom came back to the box with food. Ansd to make a correction: There are only 3 chicks, not four! There is no report from the Peregrine Fund of any “accidents” so my count was wrong! 3 chicks! Here they are eating thisafternoon. Enjoy! 3 chicks eating. Only 3! Happy Mother’s Day to you and all the moms in your life! Just in time for Mother’s Day weekend, we’re excited to announce that two of the Peregrine Falcon chicks have hatched! We’re keeping a close eye out to see when the others hatch, but Mom is doing a great job of sitting tight on them to keep them warm! If you do catch sight of the chicks, you’ll notice that they currently look like little white fluff-balls, but they won’t stay like that for long. Within the next 5-6 weeks they’ll grow to be full-sized Peregrines! At that time they will have all of their feathers and be ready to fledge the nest. This is when the FalconCam becomes really fun to watch! We also recommend turning on your sound and listening to the camera as the parents usually vocalize when switching places or bringing food back to the nest. Those vocalizations can be a good indication that you’ll be able to catch a glimpse of the chicks. As the chicks grow, you’ll notice new development and an increase in size almost every day. The Boise Chicks Have Arrived? At least that is what it looks like to me. At least 1 chick; maybe two. See the two very dark eyes peering out from under Mama? See the fresh broken egg shell? We must be more diligent now and watch the cameras close. Here is a link to the Boise Peregrine Fund Web Cam, there is also a permanent link in the sidebar. If you are watching the web cam and see the chicks, please do a “Screen Capture” and send me the photo. I will post it here. In the meantime, here are two screen shots I got today at about 1500, May 5, 2016. Keep Looking Up! One chick peering out from under Mom. You must look close – sorry for the poor image. No egg shell visible. Tiercel, on edge of box and Female incubating. They are “talking” to one another. New egg shell fragment on gravel. Mostly the parents are being “good parents” and keeping the eggs protected and warm. There are at least 4 eggs in the nest and no reports of 5 eggs. The weather in Boise is warming up this week, mid to high 70’s and close to 80, but then a cool down next week to the low to mid 60’s. It’s Springtime in the Rockies! This screen capture was taken this morning at 0900. Keep Looking Up! Tiercel just stopped incubating and is out for a flight. 62 degrees F already and clear skies. Look close and count the eggs. And So The Season Begins! Yea! The Boise falcons have returned and the female is incubating eggs. Here is the latest from the Peregrine Fund. There is a new, 2016, hot link to the Boise FalconCam in the sidebar. Welcome to the 2016 FalconCam season! This is the eighth year a webcam has provided you with a front-row seat for watching the daily activities at a nest box in downtown Boise. The female Peregrine Falcon is already incubating eggs, and we’re all eager to get a glimpse to see how many have already been laid. Peregrine Falcon eggs are typically incubated for an average of 34 days before hatching which means our first chicks should make an appearance at the beginning of May. The Peregrine Fund was instrumental in the recovery of Peregrine Falcons in the United States and our work led to them being removed from the U.S. Endangered Species List in 1999. It is particularly neat to get to watch a pair doing so well right in downtown Boise! We would like to thank our FalconCam partners Idaho Department of Fish and Game and Fiberpipe Data Centers for their support in monitoring the birds and for providing live streaming video. We hope you enjoy watching the Boise Falcon Family grow! First screen shot of the Boise downtown falcons. Looks like the camera lens needs cleaning. This blog and all work herein is licensed under a Creative Commons Attribution-Noncommercial-No Derivative Works 3.0 United States License. 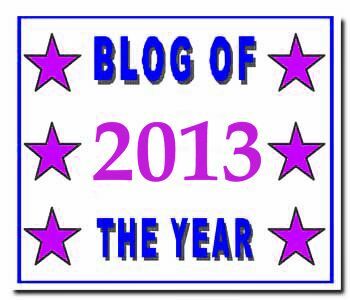 Nominate the blog of your choice by clicking the graphic. Click on the graphic to nominate the blog of your choice. 18,826 People Reading Our Blog! 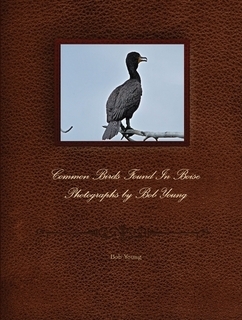 All photographs in this First Edition are ones that I have taken. Enjoy the book! Click on the graphic for a short preview. Let them know you saw their logo on this blog. Thanks! Sponsored by the Chesapeake Conservatory. The cam is located on the "...33rd-floor ledge of the Transamerica skyscraper in downtown Baltimore." There are other cams in Ohio listed on the this, too. "Welcome to Ohio's live, Web-based video streams of active peregrine falcon nests located on the 41st floor ledge of the Rhodes State Office Tower in Columbus." Click the graphic to see a live view. Liz Schubert keeps a fantastic blog on the Salt Lake City Peregrine Falcon release program and her blog is well worth reading and following. The SLC Cam should be up and running the first week in April, 2015. "Welcome to the Falcon Cam, a live video feed of Peregrine Falcons who have taken up residence and are nesting in a bird box atop the Brandywine Building in Wilmington, DE. Ideal falcon viewing is from March-June. Check back often to see what the falcons are doing!" Use on your smart phone.
. Let them know you saw their logo on this blog. Thanks! Intermountain Bird Observatory – Boise State University Department of Raptor Biology, Dr Greg Kaltenecker, IBO Director. Anyone can join in this fun. Stay at home and watch and record the birds that come to your backyard feeder.